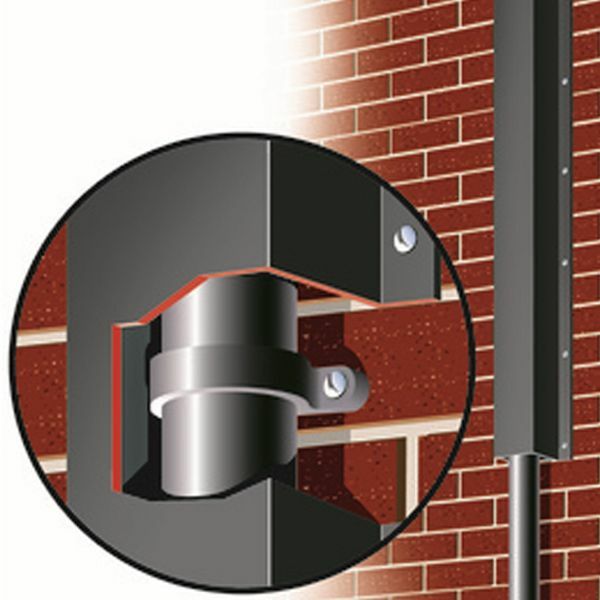 Our anti-climb downpipe covers deliver a simple solution to an age old problem. 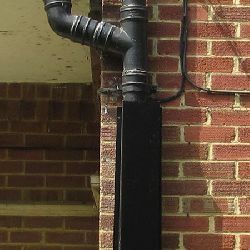 They are designed to prevent burglars, vandals, kids or anyone else from using your downpipes to climb up to vulnerable upper floor windows, flat roof areas, etc. 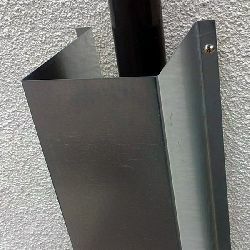 Fitting snuggly over your downpipe, these galvanised steel protective covers screw directly to your wall to prevent any possibility of anyone getting a hand-hold on your pipework to use it for climbing. Manufactured from galvanised steel sheet, these practical covers are available from stock and are available with a natural galvanised finish or galvanised with a durable baked on paint finish. They are more robust than aluminium or plastic covers, and are designed to offer years of maintenance free service, which means these low cost protectors represent a great investment. ...so if you need a larger cover, you`ll need one of our bespoke manufactured units, which can be manufactured to any size and colour you need. Fitting your covers is a piece of cake, thanks to the pre-drilled fixing holes in the side flanges. The fixing holes will accommodate screws up to 8mm diameter, so our separately orderable, optional - Anker Bolt Masonry Screw Pack, or the - Security Screw Fixing Pack is an ideal choice.